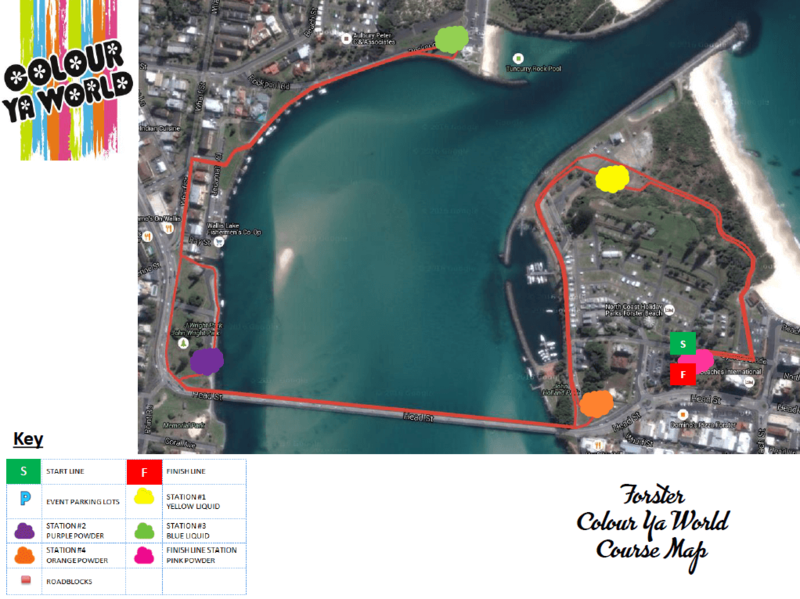 Location-Forster - Colour Ya World - Run, dance and laugh in Colour! EVENT INFO: Please note, detailed participant information will be emailed to registered participants in the week of the event. This will outline in detail course maps, timing information and T-Shirt collection times. T-Shirts will NOT be posted prior to the event. #To receive the team discount 4 team members MUST be paid for in ONE payment, this discount will be applied in the last stage prior to payment. This will then also qualify your team for the discount when any others join your team there after. Colour Ya World is run by Elite Energy Events, a for-profit company that gives back to the community through our volunteer program. Elite Energy give back over $100,000 a year to various community groups such as Surf Life Saving, NSW Rural Fire Service, Rotary, Lions Clubs and School Groups.